This is a 1913 ad for a Quaker Oats! The size of the ad is approximately 5.5x15inches. 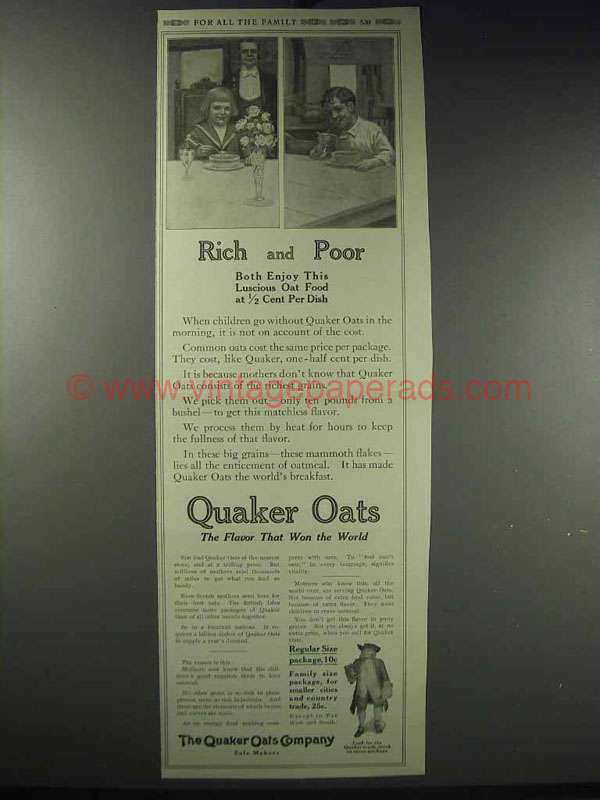 The caption for this ad is 'Rich and poor both enjoy this luscious oat food at 1/2 cent per dish' The ad is in good overall condition, with a subscription crease at the center that has developed into a 1-inch tear along the right. This vintage ad would look great framed and displayed! Add it to your collecction today!